Welcome, once again, to my blog. This week I am in Denver visiting relatives — my brother and his family. I have many nephews out here. During my visit, I am also giving a retreat for the seminarians from the St. John Vianney Theological Seminary. They have 41 seminarians from 14 different dioceses. I accepted this invitation in part because Archbishop Charles J. Chaput is my classmate and good friend. He has worked hard to promote the seminary. 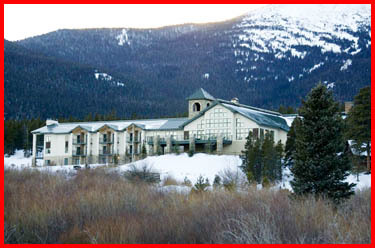 The retreat is held at Camp St. Malo, a wonderful retreat house in the Rocky Mountains. We are at the timberline with a spectacular view of the snow-covered peaks and, if you can imagine, there are bears, mountain lions and mountain goats in the area around the facility! 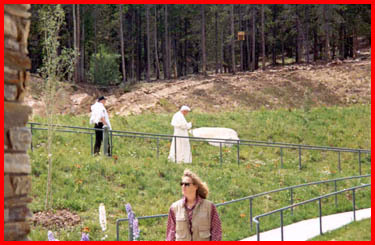 In fact, this is the same place Pope John Paul II came to go hiking in the mountains when he was in Denver for World Youth Day. 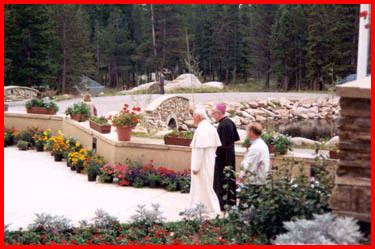 I came to the Denver seminary many years ago when Cardinal James Francis Stafford was the archbishop, and I gave a retreat to the priests of Denver in this same retreat house. It is a wonderful facility, and my visit gives me a little more time for prayer and reflection as we start the new year — an opportunity I appreciate very much. 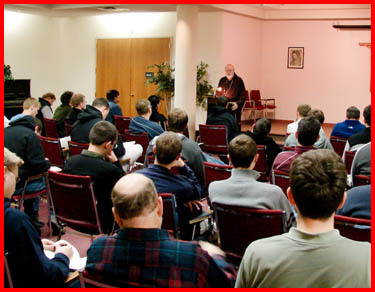 In all, I will deliver 19 talks to the seminarians during the course of the week. I have already spoken to them about prayer, evangelical councils, the new evangelization and different aspects of the priesthood. In the evening, we have Eucharistic adoration until 11 p.m.
Interestingly enough, though I may be speaking, the seminarians are not. It is a silent retreat, so they do not talk, not even at meals. Thursday night, however, we had a question and answer session. It was very a lively session — quite a contrast to the time of silence. Three priests from the seminary are accompanying me at the retreat — two Jesuit fathers and a diocesan priest. They are here as spiritual advisors and confessors. 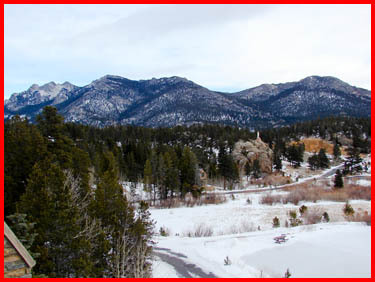 One interesting program at the seminary in Denver is their “spiritual year.” It is a yearlong program for spiritual formation with emphasis on prayer and apostolic service to the poor. Being here gives me an opportunity to hear from the seminarians themselves about how they have experienced that year. At St. John’s in Boston, we have been sending seminarians out to Creighton University, a Jesuit school in Nebraska, for a similar program, but it lasts only a summer rather than a full year. The Jesuits are scheduled to vote for a new father general Jan. 19, and I have asked the seminarians at the retreat — and now I am asking you — to pray for that election because it has such repercussions in the life of the Church. The Jesuit order is responsible for so many centers of learning and formation. The order has such an impact pastorally and formationally in the Church, and it is very important that they choose a good superior general. So we pray that the Holy Spirit will guide the fathers who are at their general congregation. 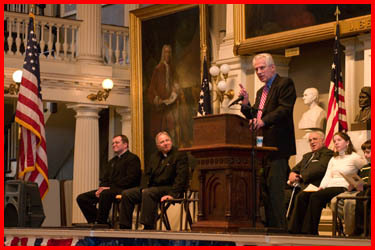 Each year, the Massachusetts Citizens for Life holds their Interfaith Assembly for Life at Faneuil Hall in Boston. 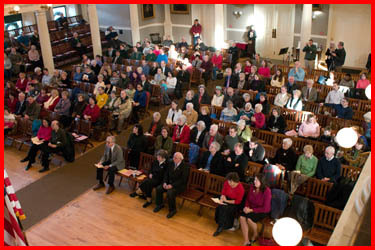 The event, held Jan. 13 this year, is celebrating its 35th anniversary. Most years I have been able to be with them personally, and they have often gathered an extraordinary group of leaders of the community and people who are dedicated to the gospel of life. I know that many people from our parishes and, of course, Marianne Luthin from our own Pro-Life Office were a part of it. 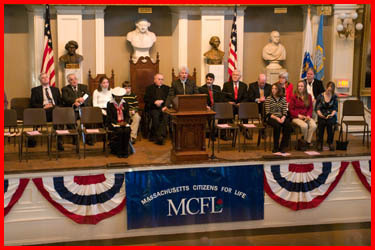 We are very supportive of the Massachusetts Citizens for Life and are grateful for the events that they sponsor — this interfaith assembly each January and the Walk to Aid Mothers and Children each October. 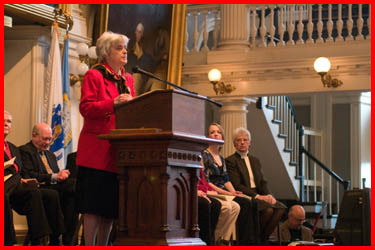 Thank you for the opportunity to join with you by letter at the 35th Annual Interfaith Assembly for Life. 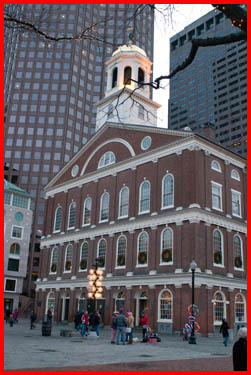 I regret that travel plans made it impossible for me to be with you at Faneuil Hall today. Please know of my prayers for the success of this Assembly and for the hope that one day soon our nation will restore protection of the sanctity of human life as the cornerstone of our society. It is a privilege to join with clergy and laity from many faiths in our shared commitment to what the forefathers of our nation so rightly termed the “inalienable” right to life. May the Lord of Life richly bless you and support your ongoing efforts to promote a culture of life and a civilization of love. 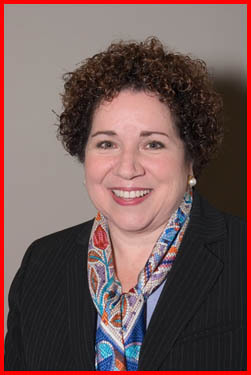 Also this week, the archdiocese was happy to announce the appointment of our new secretary of education and superintendent of schools, Dr. Mary Grassa O’Neill. A product of Catholic schools herself, she is an active parishioner and extraordinary minister of Holy Communion at her parish in Milton. She was superintendent in Milton for many years and, before that, she had been a senior administrator in the Boston Public Schools, so she also has experience with inner city schools. She has recently been training principals and teachers in a program at Harvard University. Dr. Grassa O’Neill is a woman of extraordinary energy and experience, and we know she will attract a great deal of new talent to our Catholic school system. She will help us as we work with our pastors and principals at the Catholic Schools Office to make Catholic education the very best education in the faith and in the academic programs that we offer to our young people. Over a year ago I formed a commission to study the faith formation of our adolescents and young adults. After looking at the recommendations of that committee, we have decided to restructure how we deliver services to youth and young adults. The change will also affect how the different offices and agencies for youth and young adults relate to each other. We are bringing together the Offices for Youth and Young Adults with Campus Ministry and the Vocations Office. With this new office, the people who work with adolescents and young adults in the archdiocese will have contact with each other. They will be able to support each other, coordinate their efforts to evangelize, form young people in the faith and prepare them for their vocations in life, especially the call to holiness: the call to priesthood, religious life and the call to marriage. Hello everyone from the brand new Office for the New Evangelization of Youth and Young Adults. I’d like to begin by thanking Cardinal Seán for inviting me to be a guest writer on his blog this week. As I begin, let me introduce myself. I am Father Matt Williams and I was born and raised in Braintree, MA. I am 33 years old and I am the oldest of two. I attended Xaverian Brothers High School (class of 1992) and played football there with two guys who went on to play in the NFL (Matt Hasselbeck and Greg Comella). I joke with the teens telling them that Matt Hasselbeck was the reason why I didn’t go on to a pro-football career as a quarterback. After Xaverian, I attended Stonehill College and studied accounting. 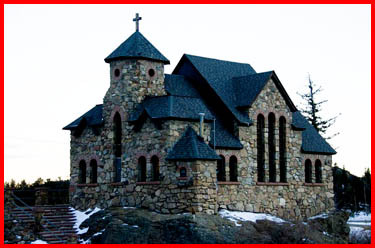 I graduated from Stonehill in 1997 and entered St. John’s Seminary that fall. 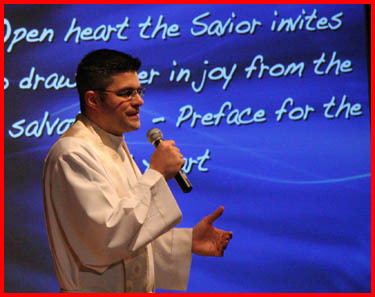 I was ordained a priest of Jesus Christ on May 24, 2003 and have spent the last four and half years at St. Mary’s Parish in Dedham. It was the best assignment a newly ordained priest could have asked for. I have been so blessed to live in residence with many great priests (and a Bishop as well! ), and serve the wonderful people of St. Mary’s. It was extremely difficult to leave a parish family that I love so much. One of the greatest blessings of my priesthood has been working with youth and young adults. 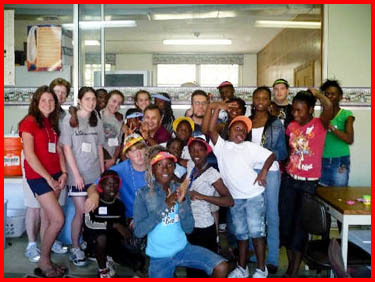 St. Mary’s has a Life Teen youth ministry program that recently celebrated its tenth anniversary. The blessings of this program have been abundant, from the establishment of a comprehensive middle school youth ministry program (Edge) to an Alumni program for our college students, to a R.E.F.L.E.C.T. 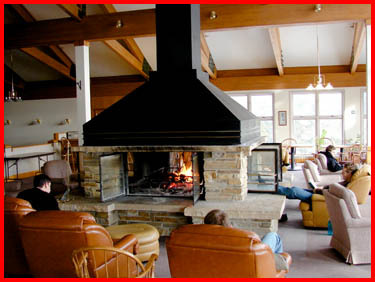 group for adults. At St. Mary’s I have had the privilege of walking with our young people along their life’s transitions while serving them as their priest. At Cardinal Seán’s initiative, I was asked to become the director of this new office to lead young people to a radical decision of faith, life and vocation. I almost dropped the phone I was on when he asked me. I am overwhelmed and humbled to think of what it is that this office has been called to do. But I am also excited and confident that the Holy Spirit is doing something new in this Archdiocese, and as we “ARISE” as an Archdiocese, the young people of Boston will be play a major role in revitalizing our Church. 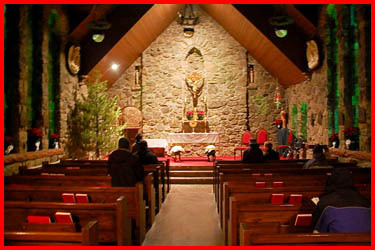 Office for the New Evangelization of Youth and Young Adults? Well, we wanted a name that would energize and excite, as well as capture the vision of what this office will be about. The words “New Evangelization” are proclaimed by our late and great Holy Father, John Paul II, who was drawing from the wisdom of Pope Paul VI as he addressed the challenges facing the mission of the Church. 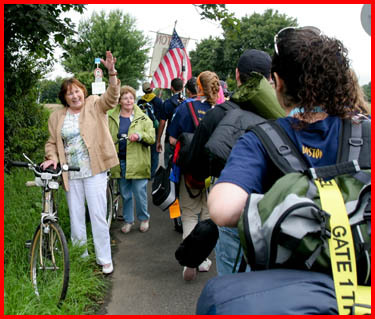 The term “New Evangelization” is meant to be prophetic and revolutionary. Acknowledging that there are so many Catholics and Christians who are Christian in name only, there is a dire need for evangelization to be new in its “ardor, methods and expression” (JPII). 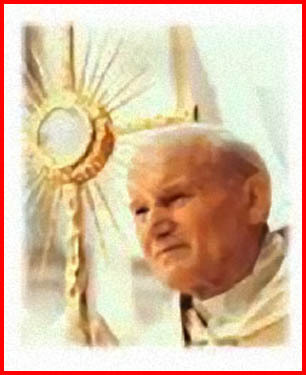 It is “not a merely matter of passing on doctrine but rather of a personal and profound meeting with the Savior” (JPII). Now that is exciting!!! So why youth AND young adults in the same office??? Well, Cardinal Seán says it best: “business as usual isn’t working.” Something new is needed! A recent study out of the University of North Carolina researched how effective different denominations have been in passing on the faith to their young. Catholics came in last. If you think of it, most of our efforts to reach out to young people revolve around sacraments: baptism, first reconciliation, first communion, confirmation and marriage. What we fail to do is walk with our young people from one sacrament to the next. Inevitably young people fall through the cracks. Just ask any pastor what percentage of the couples who come to him for marriage in the Church he knows personally. NOT MANY! What is needed is a new vision in which we intentionally organize ministries that accompany our young people through all stages, from early adolescence through adulthood. In this way the Church is actively meeting her young people at these crucial moments in their lives. I have to confess, we have sincerely tried to do this at St. Mary’s and although we are far from perfect I can honestly say that it does work! What is the make up of the office? The office itself will consist of CYO, Scouting, middle school and high school ministries, high school priest chaplaincy, high school campus ministry and young adult ministry. This Office will focus on journeying with our young people before, during, and after confirmation, through high school, into college, and through the discernment of their vocation. The office will also plan and coordinate with the Office for College Campus Ministry, the Vocation Office, and Marriage Ministries (remote education and preparation). As of today, Kathy Stebbins will be the coordinator for youth ministry. She is excited about this new opportunity and vision and looks forward to jumping into the thick of things. There will be an assistant director to the office. We will be hiring a coordinator of young adult ministries, and an office manager/minister to young people who will be as much on the front lines as in the office. Thus the office will consist of five full-time people and a number of part time members (priest chaplains, CYO coordinator, Scouting Coordinator, etc). At this time only two (Kathy and myself) are established so please bear with us as we assemble our team. 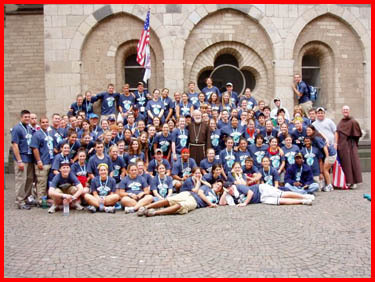 Inspired by the need for a New Evangelization, our mission is to form disciples of Jesus Christ and His Church, through a unified vision for ministry to young people, from early adolescence through young adulthood. 1. 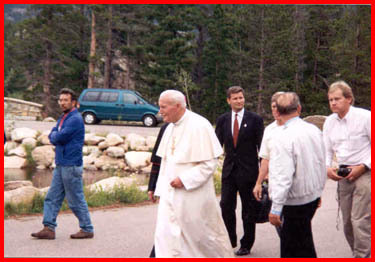 Well coordinated and unified ministerial outreach to youth (middle school through high school), college students and young adults, in order to meet them at the crucial moments of their lives, so as to help them make a “radical choice of faith and life” (JPII). 2. Provide ongoing support, mentoring and training for the human, intellectual, pastoral and spiritual formation of youth and young adults, as well as those who serve them. 3. Coordination and supervision of youth and young adult ministries. 4. Direction of middle and high school priest chaplains. 5. Coordination of high school campus ministers in order to envision, plan and collaborate in the ministry. Oversee and provide for the ongoing formation of campus ministers. 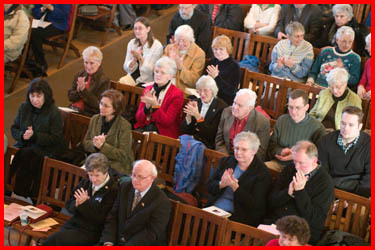 Assist in coordinating the relationships between priest chaplains and the campus ministers. Finally, oversee the approval process of campus ministers who are considered for employment by the high school. 6. Ongoing planning, coordination and collaboration with the Director of College Campus Ministries. 7. Support and create a culture of vocations through ongoing planning, coordination and collaboration with the Vocation Office, for vocation awareness, and Marriage Ministries, for remote marriage education and preparation. 8. Collaborate with various offices and ministries, both within the Archdiocese and beyond, as needs and opportunities arise in reaching out to youth and young adults. 9. Facilitate fruitful collaboration and networking opportunities among pastors, parents, youth ministers, campus ministers and volunteers. What can you expect from this office as we go forward??? — Draw upon the collective wisdom of the Pastors and those who serve young people through personal meetings, ministry audits and needs assessments. — Provide High quality training, retreats and ongoing-formation for those who minister to young people. 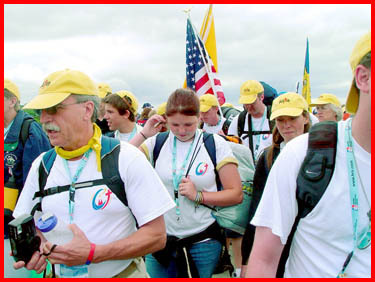 — Renewed focus and energy for successful events such as World Youth Day (July 2008), and the Pilgrimage for Life in Washington, D.C. (Jan. 2008). — Implement the recommendations of the Faith Formation Committee. — Create affordable and effective resources for priests, youth ministers and volunteers. Drawing this blog to a close I would like to express how honored, happy and excited I am about this new office, and the opportunity to serve and work with you. As I begin as director of this office, I realize that I have a learning curve the size of Australia. It is my intention to meet with all those serving young people. It is a new beginning and opportunity for all of us and I sincerely want to hear the voice of the Holy Spirit working through the many people He has chosen to serve the Church. It will definitely be a slow start but I can assure you once our team is set the New Evangelization will be in full force. I ask you to remember Kathy and myself and the Office in your prayers, and you can be assured of our daily prayers as well. An event you don’t want to miss!!!!! For the “photo of the week,” I am posting not one but two photos Father Matt sent us, showing the vitality and the energy of our youth. Please pray for the success of this office and for our efforts to evangelize our new generations of Catholics. 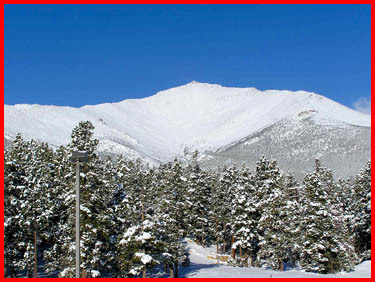 From Denver, I will be traveling to Washington D.C. to participate in the March for Life next Tuesday. I look forward to share with you that experience in next week’s blog. 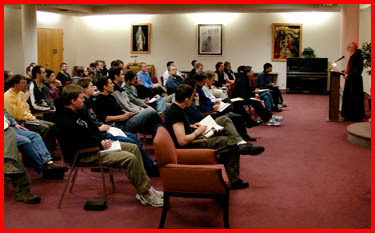 I am a young man from the Philippines and I would like to know if it would be possible for the talks (meditations) from the seminarians’ Spiritual Exercises to be made available for the consumption of our own priests, religious, seminarians as well as other young men in discernment. 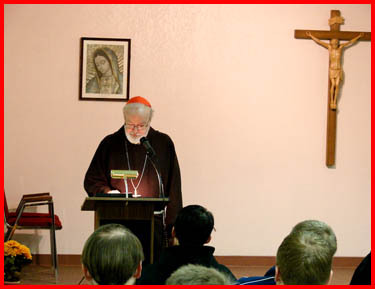 Always a beautiful visit to your blog, Cardinal Sean! Please pray for our recently (and suddenly) deceased Sister Francetta Donnelly, SCC. I wrote about her on my blog and know that the Sisters and her family would appreciate your prayers, too.